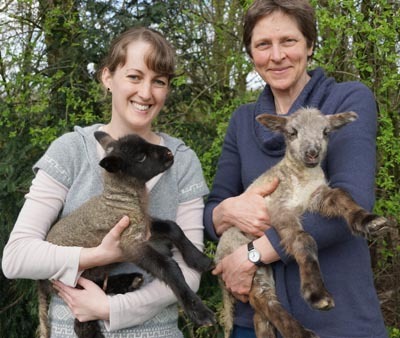 Three weeks is a long time in the life of a festival director, especially for one who lives and works on a farm, and likes poultry as much as poetry, and live lambs as much as live Literature. So, let’s get the animals bit out of the way. The Festival’s HQ is Lower Shaw Farm, which is home not only to Festival workers but also to hens, ducks, sheep, and pigs. Spring, quite naturally, is the time of year when livestock like to have offspring. Last week, half a dozen chicks hatched, every one of them brilliantly using their little egg tooth to chisel through membrane and eggshell till the top of the egg was a hinged lid and they could pop out, or rather flop out. For a while, they look like wet, exhausted, mini dinosaurs. It’s only when they dry out and get to their feet that they look like chocolate-box cute chicks. It’s remarkable that, at one day old, they can preen themselves, know what to eat and drink, and generally behave like little adult chickens. This week, in the middle of the night, two lambs were born, and, for a while, lay in a ‘slither of oils and soups and syrups’ on the straw of the sheep shed floor, while their lovely mother, black Lou, licked them clean, all the while making little reassuring and encouraging bleats. - Soon, the two new-borns were up on their unsteady feet, nuzzling their mother’s fleecy flank in search of a milk-rich teat. 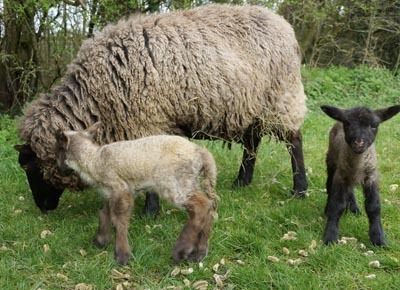 - One is black with a little white blaze on its nose, while the other is a peculiar unsheep-like brindle colour. But, of course, both are as cute as only new-born lambs can be. - And they are both sturdy little fellows, two little ‘boys’, who may not have any toys, or soon even balls but instead have a paddock full daffodils, cow parsley, and curious hens. We are, in so many fortunate senses, a million miles from last week’s bombs and gunfire in the USA but as fellow human beings, some of whom also like running, we think of the people of Boston. On the Festival front, box offices and online ticket-sellers are being kept very busy. Most events are proving extremely popular, with some almost sold out. These include Stella Rimington, Ken Livingstone, Clare Balding, Kate Humble, Alistair McGowan, A C Grayling, Steve Jones, and P D James. Interest in writing workshops and Poetry and Think Slam competitions is also considerable. So, if you want to participate in any of these, be sure to sign up soon to avoid disappointment. With a sunshine day like today, it’s clear that May is not far away!